The Timberland Company has been a trusted friend in the boot-making industry for over three decades and was the first to create actual waterproof boots. From that time until now they have expanded into many other types of footwear and continue to provide first-rate ... (see full details) (see specifications) #TMBTB050508210. The Timberland Company has been a trusted friend in the boot-making industry for over three decades and was the first to create actual waterproof boots. From that time until now they have expanded into many other types of footwear and continue to provide first-rate quality products for every situation and environment. These Timberland PRO Men's 50508 TiTAN Brown EH Composite Toe Boots are the embodiment of quality craftsmanship in a comfortable and safe boot. These abrasion-resistant boots feature the Timberland PowerFit Comfort system. This system includes all the great features inside this boot that will keep you dry, cushioned, and less tired. The cement construction used to make these safety toe boots makes them flexible and reduces break-in time. The contoured, open-cell polyurethane footbed is a great breathable insulator for a dry, warm feeling. The footbed and the spacer mesh comfort lining are both antimicrobial and moisture-wicking to prevent the growth of deteriorating bacteria and odor-causing fungus. An antimicrobial treatment is used on the mesh lining as well to control odor within these brown boots. In addition to the durable cushioning of the footbeds, the heels are cradled in molded heel cups for a premium fit and comfort level. The Outlast Adaptive Comfort footbeds also regulate the temperature inside your antimicrobial boots for maximum performance under the most relaxed and comfortable conditions. The polyurethane midsoles have a high-rebound heel insert for shock absorption and energy return in addition to lightweight cushioning. The nylon diffusion shanks provide support and stability. Constructed on the Timberland TiTAN last for superior comfort and fit, these oil-resistant boots come with a 30-Day Comfort Guarantee. In addition to the comfort system, these EH boots also provide the safety and durability features you require for work. The caramel brown full-grain leather uppers are durable and tough. They are lightweight and 100% metal free, including the hardware on these slip-resistant boots. The composite toe caps are a lightweight nonmetallic alternative to a steel toe and are roomy enough for wider toes with the same impact and compression standards of steel. The electrical hazard rating will protect you from open circuits. The Timberland PRO rubber outsoles are oil-, abrasion-, and slip-resistant for longer-lasting soles that provide exceptional traction when you wear these 6-Inch boots. 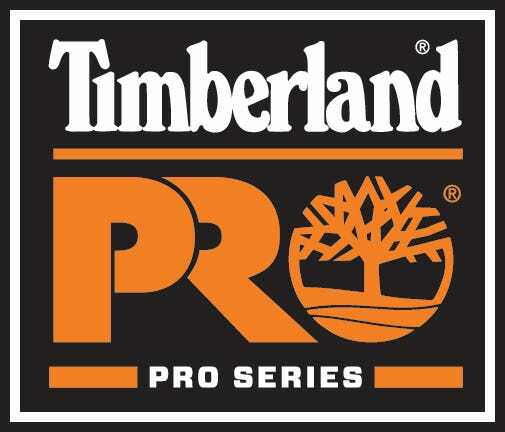 Trust Timberland to know what you need in a work boot and try Timberland PRO 50508 TiTAN Brown EH Composite Toe Men's Boots on for style, comfort, safety, and durability. This truly is a solid pair of work boots. And they are very well-built. I am already on my second pair because I like them so much. And you sure can't beat the price. Timberland 50508 boots are wonderful. They fit like a glove and protect my feet all throughout the day. These light weight Timberland safety toe boots are not only light weight but they are made of great quality. The Timberland PRO Boots: Men's 50508 TiTAN EH Composite Toe Boots are comfortable and broke in easily. Unlike many safety boots, these are not too heavy. I've found them to be comfortable to wear all day, and while walking on various surfaces that test the "sole". Timberland has proven to be a good fit for me, both in the foot and in the wallet respects. Timberland PRO Boots: Men's 50508 TiTAN EH Composite Toe Boots is being added to your cart.